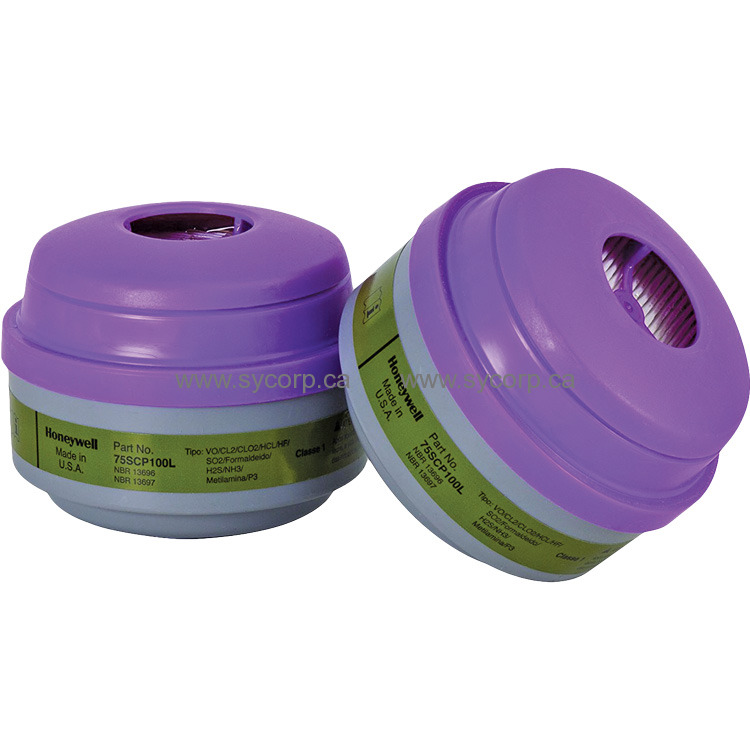 The North Safety 75SCP100 multi-purpose respirator cartridge is designed for use against Organic Vapor, Chlorine, Hydrogen Chloride, Sulfur Dioxide, Hydrogen Sulfide (Escape), Hydrogen Fluoride, Chlorine Dioxide, Ammonia, Methylamine and Formaldehyde vapors. This cartridge also includes a built in P100 particulate pre-filter. The North 75SCP100 cartridges can be used with any North Safety full or half-face mask respirators. Package contains 2 cartridges.